This healing anti-inflammatory balm soothes compromised skin and strengthens skin’s natural defense system. Alleviates redness, heals and calms skin with blue chamomile oil. Helps to neutralize free radicals with White Tea and Vitamin E.
Perfect for use in cold weather or following a sunburn. Calms and reduces any rashing or other skin irritations. Ideal for sensitive or dry skin. Use AM or PM when needed, as a final step on clean skin. Agua (Distilled Water), Aloe Barbadensis Leaf Juice* , Butyrospermum Parkii (Shea Butter), Glycerine*, Blue Chamomile, (Anthemis Nobilis) Oil, Butchers Broom (Ruscus Aculeatus) Extract, Licorice (Glycyrrhiza Glabra) Extract, Horse Chestnut (Aesculus Hippocastanum) Extract, Pyrus Malus (Apple) Fruit Extract, Camellia Sinensis (White Tea) Extract, Hydrocotyl (Centella Asiatica) Extract, Panthenol (Vitamin B-5), Ascorbic Acid (Vitamin C), Ester D-alpha-tocopherol (Vitamin E), Allantoin, Grapefruit (Citrus Gandis) Seed Extract. I think this is the best balm for soothing the skin and calming redness that I've ever found. It definitely reinforces the skin's protective moisture barrier and, to my eyes, gives the skin a noticeably healthier and plumped up dewy glow. Can't say that it shrinks capillaries, though it possibly does make them seem slightly less red and therefore less noticeable, but what is for sure is it evens my skin tone, soothes irritation and helps to alleviate my flushing problems, and just generally makes my skin look better than anything else -- which makes me use it in warmer weather as well. I do agree that it can be hard to spread as it's quite thick, but I add a drop or two of facial oil and that works like a charm, also helps to make the relatively small amount of product you get here go farther. I had hoped to use this as an overall moisturizer for days when my skin needed some calming, but I found it's a balm that doesn't spread well; it's a bit gummy. It wouldn't layer well with sunscreen and doesn't play well with salicylic acid (creates contact dermatitis for me at least.) I'll find ways to use it up, but wouldn't repurchase it. I used this balm in conjunction with PCA Silk balm to relieve the facial inflammation, burning sensations, peeling and itching I received after a peel. This balm eased the pain within seconds of application. Highly recommend. Bottle may be small but it takes only a small amount. I have serious redness on my cheeks and nose as well as some broken capillaries on one cheek. This combined with another product really heals the capillaries as well as gets rid of the redness. Love this product and would be lost without it. 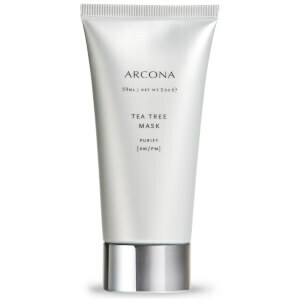 I love Arcona products, and this is a great one. I use it when I have an irritation or dermatitis flair up. It's very calming and soothing. You can even keep it in the fridge, for a cooling effect.The only downside, is there's actually very little product in the bottle. So it goes kinda fast. But I would recommend it.